There is a multitude of guides and tutorials on how to boost your comments, clicks and shares on Facebook. Today, I will let you in on a secret: there’s nothing more to the perfect Facebook post than knowing your audience. Since Mark Zuckerberg launched Facebook in his Harvard dorm room in 2004 the network continuously grew to be the most popular social channel worldwide. With over 7.2 billion page visits a day and 1.6 billion users in total, Facebook became the perfect stage for brands to push advertising and promote their products. Sharing blog posts on Facebook has become a standard task for bloggers and Social Media Managers to promote their content and drive traffic to their blogs. However, with more and more content flooding the network, posting successfully to Facebook is not quite as simple as expected. Facebook provides personal profiles, pages and groups for promoting your content, but each community is different and reacts differently to specific contents and formats. And, you also need to hit the right tone to address your specific audience. Facebook allows link posts as well as photo posts. The choice of formats can have a deep impact on the visibility and outreach of your post. To conquer the top ranks on your followers news feeds, it’s most important to post the right content, in the right format, at the right time. Posting manually to profiles, pages and groups with individual comments can be quite time-consuming. 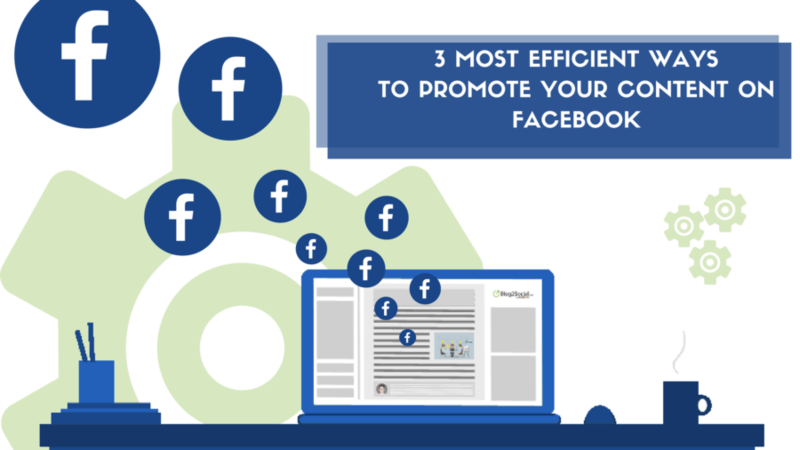 But, there are a couple of ways to promote your content, fully tailored and fully automated on all of your Facebook channels. So, in a nutshell, to successfully promote your content on Facebook and drive traffic to your blog, it’s important to address your audience in an engaging way and choose the right format for your post. Blog2Social helps you to cross-promote your blog content fully automated on all your Facebook channels in just a few simple clicks.